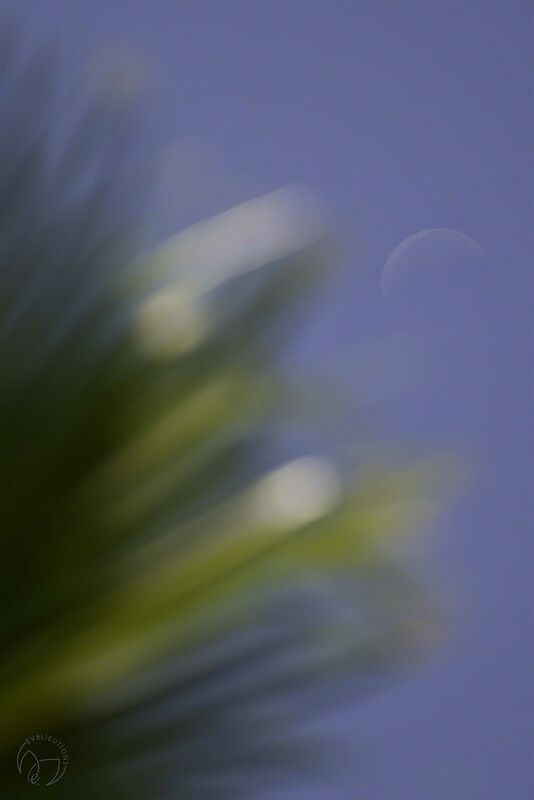 I was just taking another photo of the moon and was pleasantly surprised by how the palm leaves looked. It is abstractish, and I like it! I love the way the moon still features, almost as a disguised element. It is rather beautiful with just the touch of the shape of the moon! Very cool, almost like the moon photo-bombed your shot. @elkereturns Thank you very much! @helenhall Thank you so much! @maggiemae Thank you; I appreciate your comment! @joysabin Thank you! Or the palm tree is one of those annoying kids who dives in front of your shot!